athenahealth, Inc. (NASDAQ:ATHN), a leading provider of network-enabled services and mobile applications for healthcare providers nationwide, today announced the acquisition of Filament Labs, Inc., d/b/a Patient IO (“Patient IO”), an Austin-based care coordination platform used by providers to engage patients and caregivers outside the four walls of the clinic. Delivered as a simple and elegant mobile and web-based application, Patient IO turns care plans into actionable daily tasks for patients. 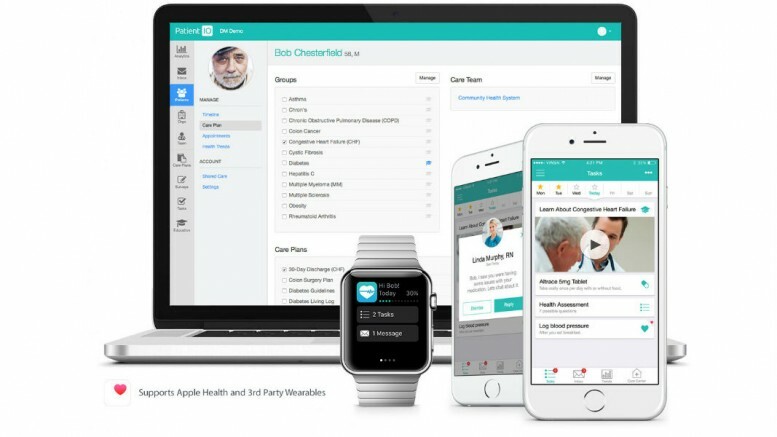 Whether managing medications, reviewing educational content, or recording self-reported data, Patient IO empowers patients to play an impactful, ongoing role in their own care. Patient IO was founded in 2013 by entrepreneurs Jason Bornhorst, Colin Anawaty, and Brian Gambs. Patient IO is a Techstars Austin company, with CEO Jason Bornhorst recently named to the Forbes 30 Under 30 in Healthcare. Differentiated by its ‘API-first’ architecture and omni-channel engagement, Patient IO will form the basis for athenahealth’s patient-facing mobile application, athenaWell. This integrated functionality is already live in market with select clients today, and will be made available to new athenahealth Population Health® clients as a native component of the service beginning this fall. athenahealth initially made an investment in Patient IO in October 2015 via the ‘More Disruption Please’ (MDP) Accelerator program. MDP provides high-potential start-ups with direct access to athenahealth’s resources, expertise, and network of over 80,000 healthcare providers. Patient IO is athenahealth’s second acquisition of an MDP Accelerator portfolio company, following athenahealth’s acquisition of Arsenal Health in April 2016. The Patient IO team will join athenahealth Austin, including CEO Jason Bornhorst, Chief Technology Officer Brian Gambs, and Chief Product Officer Colin Anawaty. Bornhorst will serve as Executive Director of Product Strategy. Over 30 clinical sites currently depend on Patient IO to coordinate care for their patients. Patient IO will continue to service its full roster of clients and sell into non-athenahealth entities under its current name.